SanDisk in Style for Once | Shelby White - The blog of artist, visual designer and entrepreneur Shelby White. For the years I’ve been into photography, I’ve never seen a card reader with a great design. 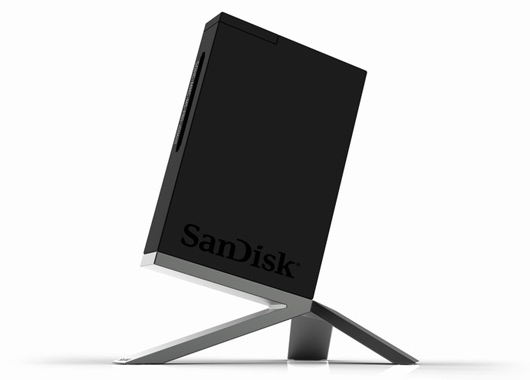 I believe that SanDisk has hit on something here with their new multicard readers. The design is more modern than the previous and has a high fashion look to it. Personally I haven’t seen the new card readers, and I’m slightly concerned about the functionality and sturdiness of them. Does anyone have any information on these? What do you think about them and would you make the upgrade? i think it is a nice upgrade and could clear your desktop up and keep things a little more professional. but i’m not running down the street to get one. for me a card reader is a card reader is a….. it’s something thats sits in my drawer until i need to edit and then i pull it and plug it in. Good point Brad. I think I’m mainly stuck on the aesthetics of the card reader. Just love that design. Great device to have, and it looks great, but does it have to look great? It’s not a new car or T.V. that one shows off, so I don’t think it needs to look badass. Some people I guess want to show off EVERYTHING. I think it’s nice. 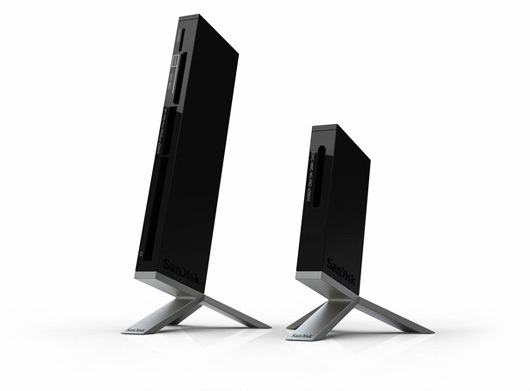 Sleek & Pretty but the stand for it seems like it’d take up some hefty space on your desk area. Just a thought. Love the design of them, but design over functionality in a card reader isn’t something I’d choose. Its just too big, and unless it’s ridiculously fast its not something I see myself buying. Personally I like the San Disk Extreme reader I have, much smaller and fits in my camera bag for viewing or dumping cards away from my desk.